The following is a list of the largest countries by area in the world which includes some pretty big places from Russia at number 1 all the way down to Algeria at number 10. 1. Russia – Largest country in the world by far with a size of 17,098,242 square km (6,601,668 square mi). 2. Canada – Second largest in the world and largest in the Americas with 9,984,670 square km (3,855,100 sq ml). It is also the country with the most water in the world (8.93% of it’s total size is water). 3. China – Third in the world and the largest in Asia: 9,706,961 sq km (3,747,879 sq mi). 4. United States – Fourth largest in the world: 9,629,091 sq km (3,717,813 sq mi). It is only slightly smaller than China. 5. Brazil – 5th largest in the world and the largest country in South America and in the Southern Hemisphere: 8,514,877 sq km (3,287,612 sq mi). Brazil is home to the Amazon River which is one of the longest rivers in the world. 6. 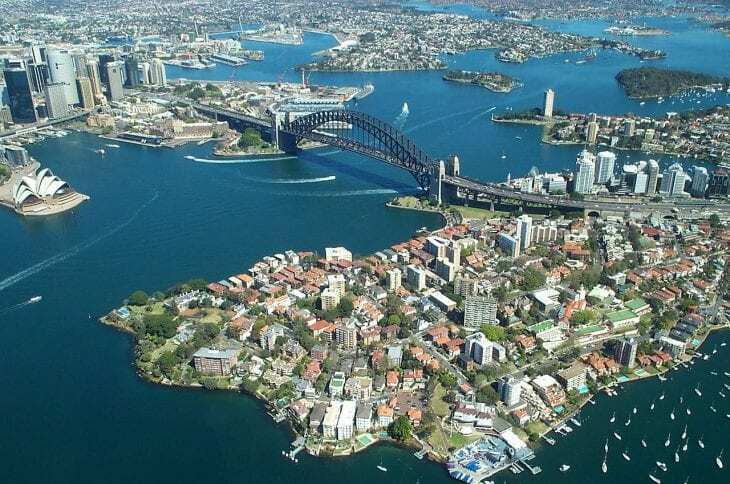 Australia – 6th largest in the world and the largest country in Oceania, as well as the largest country without land borders: 7,692,024 sq km (2,969,907 sq mi). Australia is also one of the countries with the Longest Coastlines in the World. 7. India – 7th largest in the world but less than half the size of Australia: 3,166,414 sq km (1,222,559 sq mi). 8. Argentina – 8th in the world with a size of 2,780,400 sq km (1,073,500 sq mi). For a complete list of the 10 Best Attractions in Argentina, please check out this list. 9. Kazakhstan – In the 9th place and just slightly smaller than Argentina: 2,724,900 sq km (1,052,100 sq mi). 10. Algeria – 10th largest in the world but the largest country in Africa: 2,381,741 sq km (919,595 sq mi). If you liked this post, you may want to check out our article on the 10 Countries with the Largest Water Area. My country is the 3rd largest.